Stripes and spots and squiggles and dots, and some textures too. 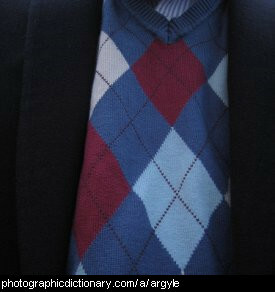 Argyle is the name for a pattern made up of lines and diamonds. It is a very common pattern on socks and waistcoats. Something is asymmetric if it not symmetric. 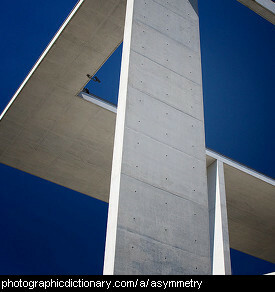 If something is asymmetric, if you cut it in half, the two sides will not be mirror images of each other. 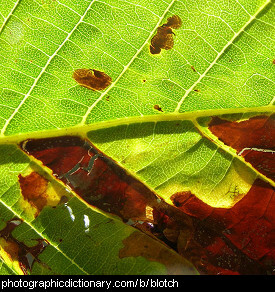 A blotch is a large, irregular spot on something. The leaf in the picture is blotchy. A check pattern is made up of a grid of two different colours of squares, so that no two squares the same colour are next to each other. 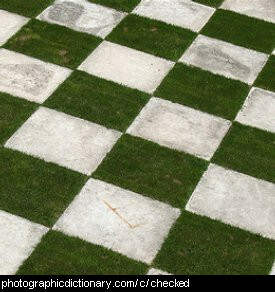 The check pattern in the picture is made up from paving stones and grass. 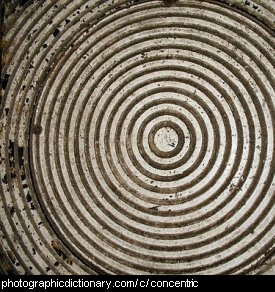 A group of things are concentric if they all have the same center. The circles in the picture all have the same central point. Any shape can be concentric - triangles, squares, or even three dimensional shapes like spheres. 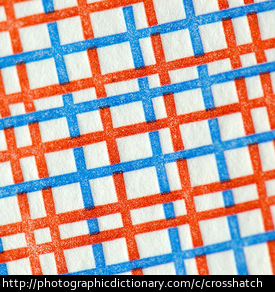 Crosshatch is a pattern that is formed by creating a series of intersecting lines. The most popular crosshatch pattern is made by crossing veritical and horizontal lines. Something is spotted if it has a pattern of small, round things all over it. Many animals are spotted. If the spots are perfectly round and even they are usually called dots. People will usually call animals covered in dots spotted and clothes covered in spots to be dotted. 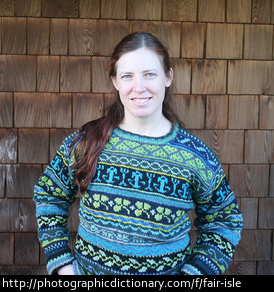 Fair isle is a colorful geometric pattern that is often knitted into clothing such as hats, mittens and sweaters. This pattern is called fair isle because of its origins in Fair Isle on the Shetland Islands in Scotland. 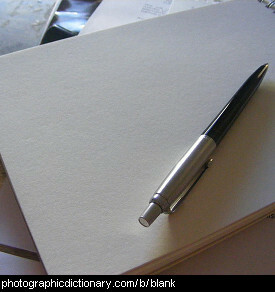 A fleck is a small piece of something, like a fleck of dirt. 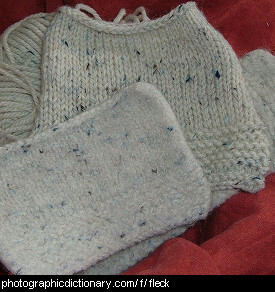 Something that has a lot of flecks on it is called flecked.